Big Jack finds more at the seashore than a beautiful scene to paint. There is hope for his soul when God brings dear people across his path that were long forgotten. 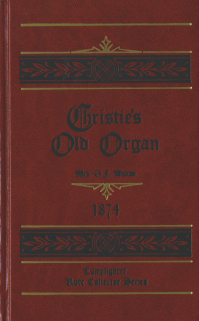 The old barrel organ from Christie's Old Organ returns in this sequel to draw people together. 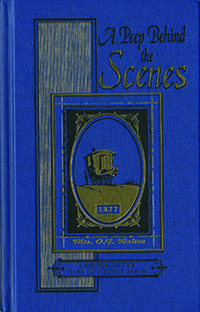 Jack must choose whether or not he will "cross the line" at the bidding of Christie, the earnest preacher in the little seaside fishing village. The honest, humble people of Runswick Bay will leave an indelible mark on Jack Villiers that will change his life forever. From Janice Robinson of Neosho, Missouri on 2/11/2018 . The book leads the young man to the Lord thru a child. The young man discovers some new friends and how to pray for other people in need. I really enjoyed the book. It also showed how the Lord answers prayer when we truly pray. From Heidi of Queensland, Australia on 10/26/2015 . We had been discussing how salvation affects our old friendships and old lifestyles, especially if those friends & lifestyles are a big change to our new saved selves. We had noted that after salvation we do face new problems and new thought's about our previous unsaved lifestyle and how our unsaved friends will respond or should we even tell them? 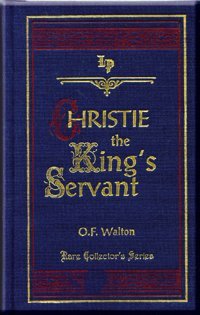 Here in Christie, The King's Servant a wonderful reflection of this dilemma is told through the fabric of this beautifully written story. From Kimberly Jagen of Oviedo, Florida on 4/10/2015 . Beautiful! My whole family loved it! From Anonymous of Boerne, Texas on 1/6/2014 . This is a wonderful story! You will be drawn into the story of a young man as his life is changed by the Lord. You are drawn into the story and into the lives of the characters. This book offers compelling examples of the influence that faithful and winsome Christians can have on unbelievers. A beautiful and powerful presentation of the gospel of Jesus! From Anonymous of stroud, Oklahoma on 5/30/2013 .